Lalo Medina plays Pete, who works for the Cleveland Parks Department and is tasked with managing a group of protesters that have taken over a city park. Pete is sympathetic to their cause. Rachel Jones plays Mary, Pete's wife, who remains a steady presence although she's carrying a terrifying secret. Jackie Madejski plays Sarah, Pete's college flame and soulmate and the leader of the protesters. They have not seen each other since they drifted apart in the 1970's. Harv Lester plays Henry, a former businessman who chose to drop out of society and live in the park. Henry is known and liked by everyone except the protesters, who have made him homeless by their taking over the park. Nick De Pinto Plays several pivotal characters in the play - The Gardner, The Bandleader, Captain America - all of whom are touchstones. Elizabeth Darby plays Young Sarah in an enchanting shadow dancing sequence, as well as singing and dancing in other songs. Jonathan Zuck is an award-winning film and stage director, photographer and digital artist with studios in DC and Brussels. Jonathan’s work has appeared in local and national ad campaigns, festivals, exhibitions and in homes and businesses around the world. Jonathan’s editorial work, has appeared in multiple publications including the Washington Post, Washington City Paper, On Tap and several websites. 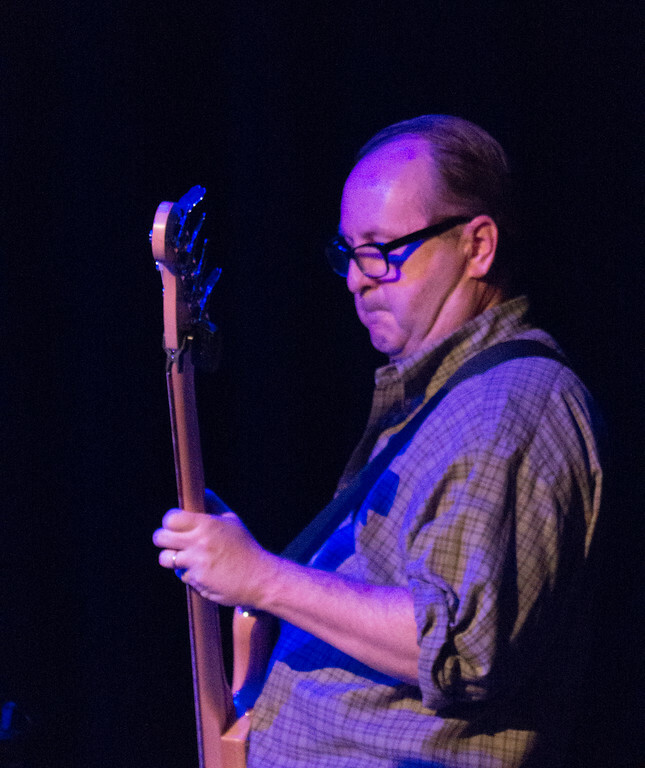 Mark Baughman is a Washington DC - based musician and composer. Mark started playing guitar at 13 and was performing his original material soon afterwards as a solo acoustical performer or leading rock bands in clubs in his native Pittsburgh and later Boston and eventually Washington. Mark started writing "99 - A Rock Opera" in 2014 to explore how we got to the current state of affairs where every issue in contemporary life is a call to take sides. Pete, a bureaucrat from the Cleveland Department of the Environment, is tasked with managing a group of protestors (the “99-ers”) who have taken over a downtown park. The leader of the 99-ers turns out to be Sarah, his college flame, and while he is thrilled to see Sarah again she crushes him with a rebuke that he is a sell-out. Pete’s reaction to the 99-ers featured speaker, “The Gardner” makes Pete wonder if Sarah’s right. Meanwhile Henry, who was living in the park, is now made homeless by the very protesters who purport to defend him from the bureaucracy. Opposition Leader, media savvy Captain America, sees an opportunity in Henry’s plight and a square off ensues. The Ad Hoc Rock Opera Company is a group of veteran musicians that performs 99 in concert form and supports the actors and singers of 99 The Musical.